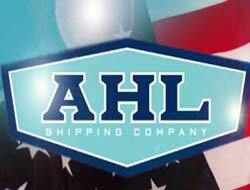 AHL Shipping Company (AHL) today announced plans to build three, shallow-draft, 49,000 DWT Jones Act- and OPA90 compliant tankers in connection with a charter agreement with Shell Trading Company. 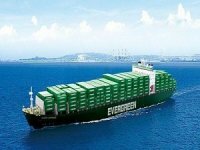 Largest tankers to be built in the USA of modular construction. 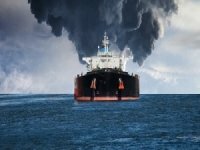 AHL Shipping Company (AHL) today announced plans to build three, shallow-draft, 49,000 deadweight ton (DWT) Jones Act- and OPA90 (Oil Pollution Act of 1990)- compliant tankers in connection with a charter agreement with Shell Trading Company. 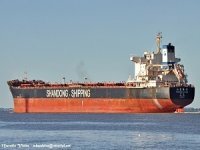 The vessels will be the first Jones Act tankers to be constructed under the common structural rules adopted by the International Association of Classification Societies, which came into effect in April 2006. They also will be the first vessels of this size to be built in the U.S. using the modular construction concept. 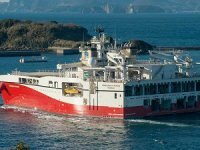 The vessels will go on long-term time charter to Shell Trading in 2009/2010. According to AHL President Richard Horner, the modular construction concept allows different facets of construction to be conducted by the most qualified shipyard, based on expertise levels. The common structural rules are designed to increase the structural integrity and long-term serviceability of vessels. "Today's announcement is a milestone for AHL, Shell and the U.S. shipping industry," said Horner. "The tankers will be fully compliant with Jones Act requirements including being U.S. built, flagged and manned. Shell Trading's commitment to this endeavour through a long-term time charter agreement has helped to make this important project a reality. We look forward to working with Shell to help ensure the availability of oil and chemical products throughout the U.S."
This vessel construction project supports Shell's position with its controlled tonnage as the phase out of single hull vessels approaches due to OPA90, said Bob Salmon, general manager, Shell Shipping. 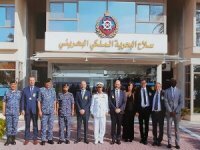 "Shell is committed to being a leader across its businesses. Through our agreement with AHL, we are fulfilling this commitment on several fronts," explained Salmon. "These vessels complement our commitment to update and diversify our fleet of double-hull Jones Act-compliant product carriers, while providing additional jobs for U.S. shipbuilders. From a preferred partner standpoint, AHL's reputation as an experienced marine petroleum transportation specialist complements Shell's high standards for safety and integrity. Perhaps most importantly, the capability of these shallow-draft vessels to operate while fully laden will offer greater flexibility for port delivery across the U.S., than other vessels of the same size, while meeting strict environmental requirements." According to Salmon, Shell plans to utilize these vessels, which will have a cargo capacity of 330,000 barrels, to transport crude oil, chemicals and products within its domestic U.S. trade lanes. 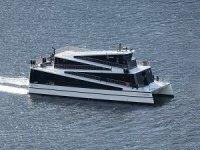 Vessel attributes include state-of-the-art twin-screw, diesel electric propulsion engine systems that improve vessel efficiency and reduce emissions. Hull construction and final assembly of the vessels will be conducted at Mobile-based Atlantic Marine Alabama LLC, but several other shipyards and specialty companies, who are under contract with AHL, will participate in the vessels' construction. "We've contracted with key shipbuilding experts including, but not limited to, Aker Yards Marine Inc., Louisiana Machinery, L.L.C., R&R Marine Shipbuilding, Inc., and Ship Construction Strategies, Inc. 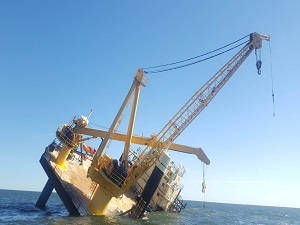 The combination of these companies brings unmatched skill and expertise to this vessel construction project team," said Horner. The ships will have the following approximate dimensions: length of 188 meters, breadth of 32 meters, depth of 18 meters; and draft of 11 meters at 42,400 DWT. Based on a proprietary AHL design, they will be double-hull, International Maritime Organization Type II and III vessels, according to Horner.